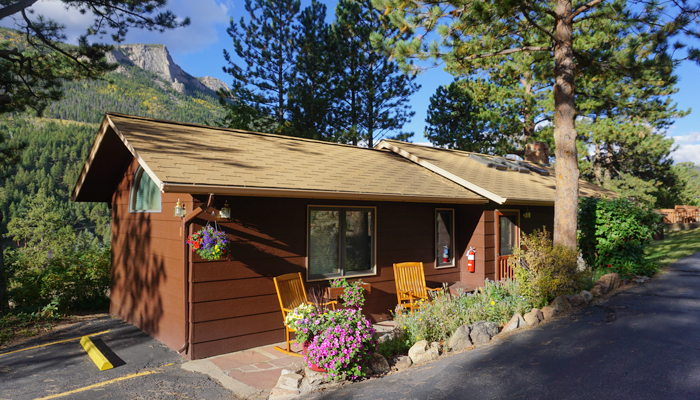 To view availability calendar for the Old Caretakers Cottage, click here. 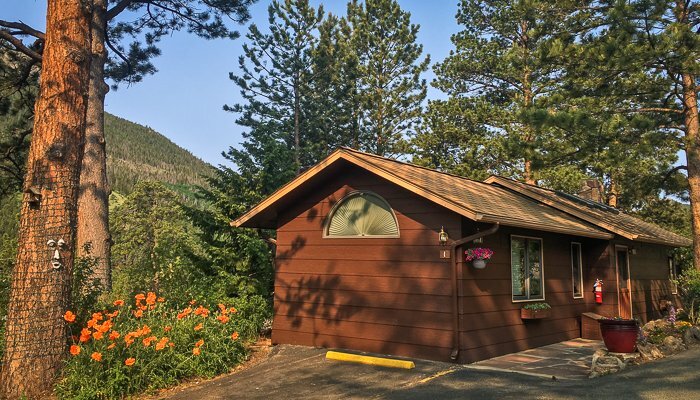 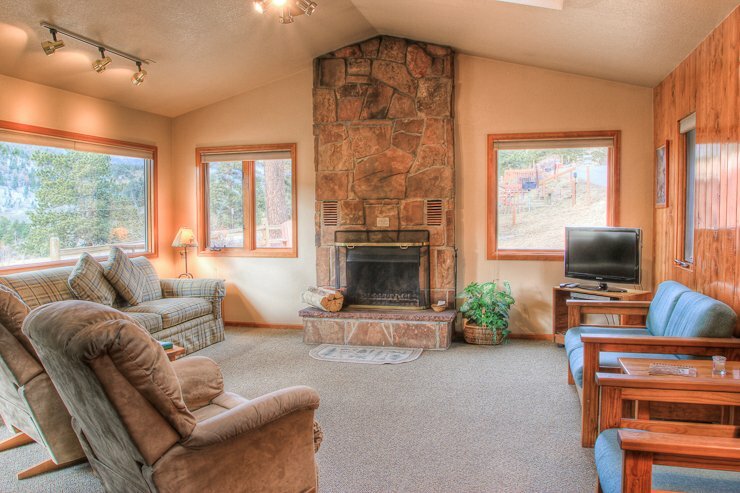 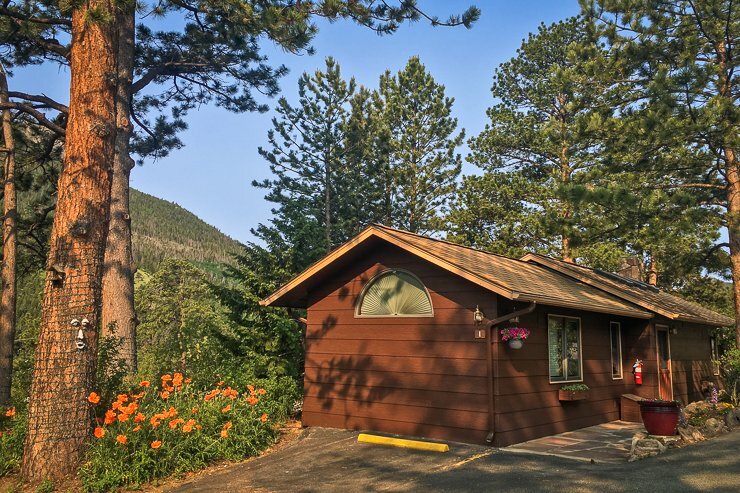 Our finest one-bedroom cottage has a spacious living room with huge stone fireplace, vaulted ceilings with skylights, large windows with spectacular mountain views and two comfortable recliners. 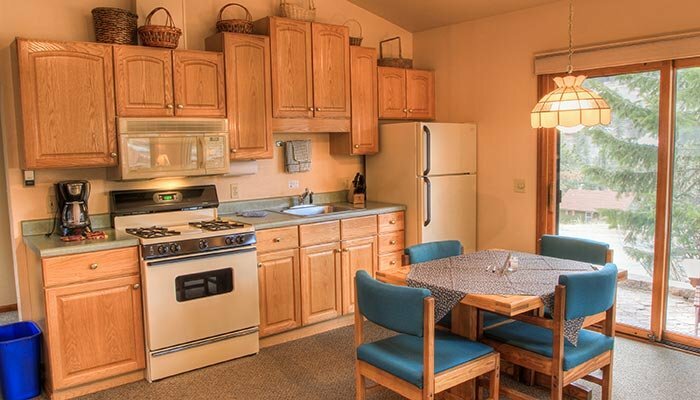 The fully-equipped kitchen with microwave has a sliding door to a private patio complete with barbecue and picnic table. 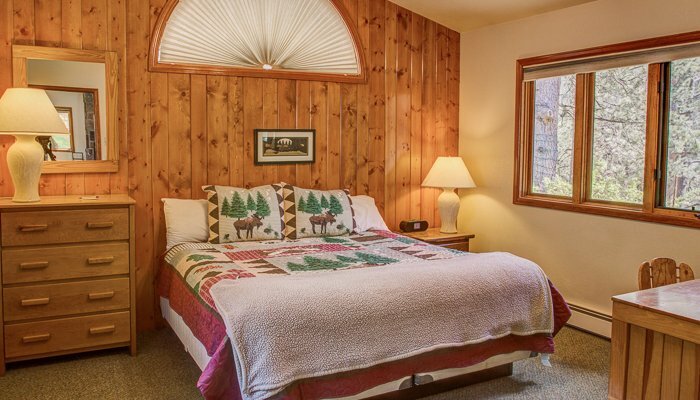 The bedroom features a king-sized bed and wonderful view of Deer Mountain. 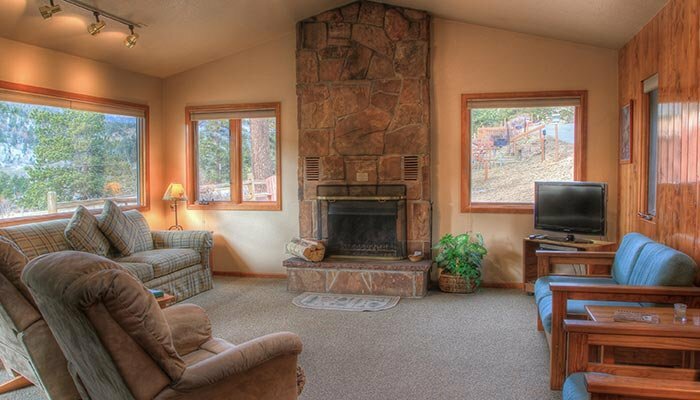 After a day of hiking, indulge yourself in the whirlpool tub or relax in front of the fireplace. 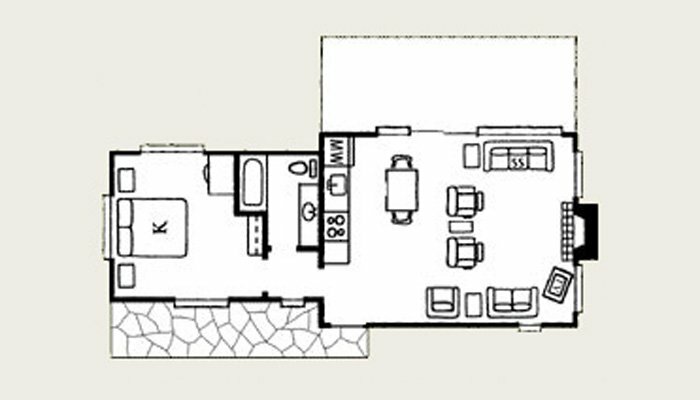 This cottage will sleep up to four counting two on the sofa-sleeper.